Jan.13 - Happy new year! 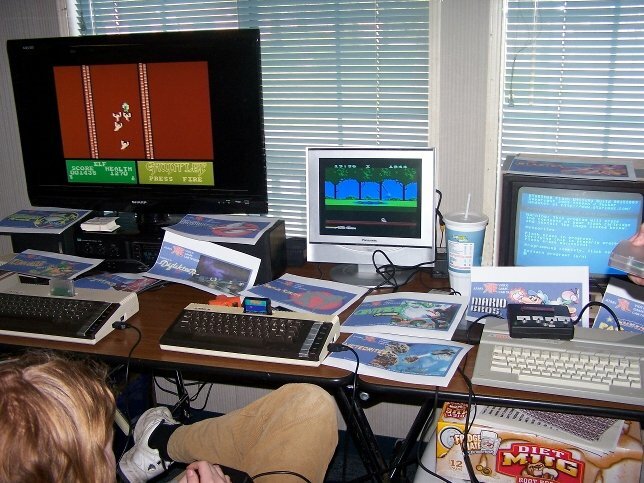 Plans are forming for Atari Party 2011 in Davis. End of line! Mar.15 - Whew, that was exhausting! I hope everyone who made the Party enjoyed it. Check out some photos! 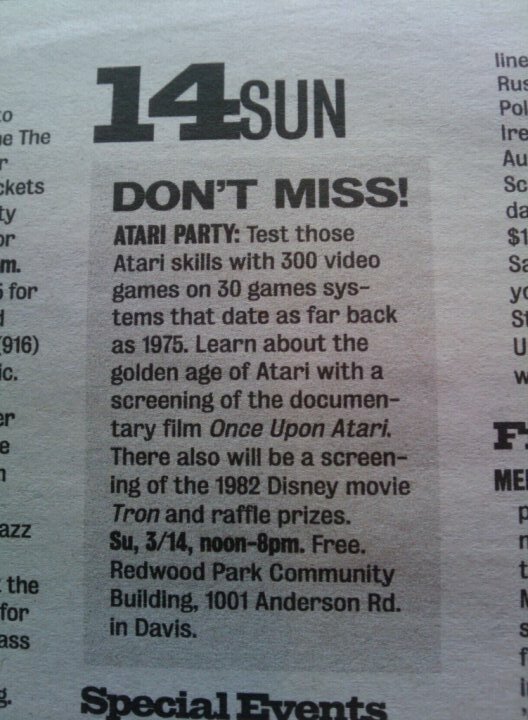 Mar.12 - Atari Party is listed in this week's Sacramento News & Review, listed as a Don't Miss! event! Also, we've just received two $50 vouchers to Tux Games for our prize drawing! The Atari Party returned! 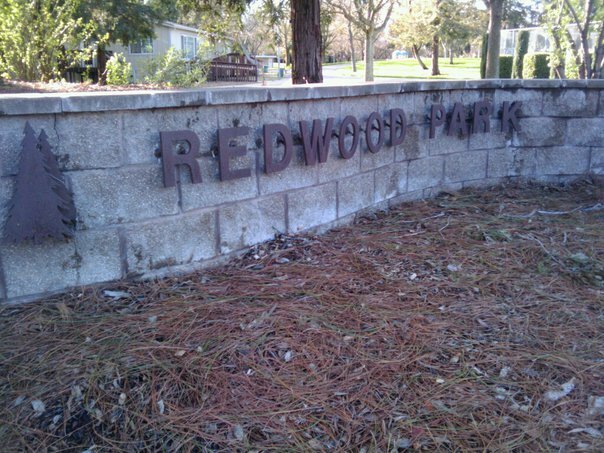 It was held on Sunday, March 14th, 12:00p—8:00p at the Redwood Park Community Building, 1001 Anderson Rd., in Davis, California. We brought you three decades' worth of Atari video games — literally hundreds of video games to play, from Pong and Combat to Klax and Tempest 2000, and everything in between. We also screened a Disney's Tron and the documentary film Once Upon Atari, and there were around 20 prizes to win in a free prize drawing! 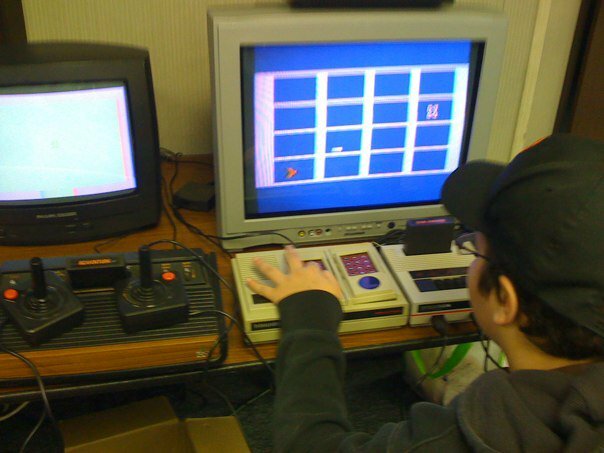 Thanks to numerous sponosrs and volunteers, Atari Party was free and open to the public.